Magna-Dry Carpet and Upholstery Dry Cleaning —F.A.Q. Fine fabrics and carpet should be enjoyed, not worried about. Fluorosolve helps to protect your fabrics from wear while preserving their beauty. Soils and spills are easily removed without permanent staining. You'll appreciate the true colors, textures and beauty of all your interior decorations with Fuorosolve. Q. WILL FLUOROSOLVE CHANGE THE LOOK OR FEEL OF MY FURNISHINGS? 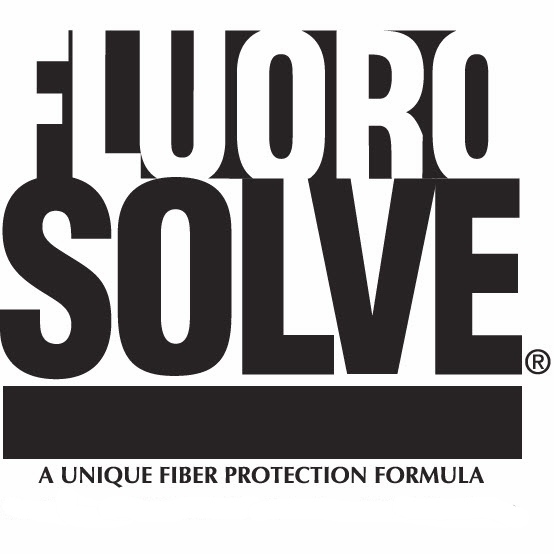 A. Fluorosolve will not alter the color or texture of any fiber. Once it is applied, you will not be aware that it is protecting your furnishings. Treated carpets and upholstery will have the same soft, luxurious feel they originally had. Q. HOW DO I REMOVE SOILS? A. Fresh spills can be simply blotted up with an absorbent towel. Spots and heavier soils can be removed with a light application of our Ultra-Dry spot cleaner. Vacuuming is also easier and more effective with Fluorosolve. Q. WILL FLUOROSOLVE COMPLETELY PROTECT AGAINST ALL STAINS? Q. WILL CLEANING REMOVE THE PROTECTION? Q. HOW IS FLUOROSOLVE APPLIED? A. Fluorosolve is applied by professionals whose business is the care of your fine furnishings. They apply Fluorosolve onto new or freshly cleaned items only after thoroughly examining and testing them.